Personality: Vardreth, having grown up as the second eldest son of a powerful mercenary group leader, has a similar arrogance and confidence as those born of noble birth. With his level of talent, Vardreth coasted through his physical training; a lack of discipline towards superiors was born from the lack of time spent training with superior officers stronger than him. Despite these seemingly flippant traits of his, Vardreth takes his job seriously. He cares greatly about the reputation of his capabilities, and as such maintains a high level of vigilance and consideration for what happens on the battlefield. In the same vein, Vardreth cares a good deal about the amount of respect and face he is given by others; if there is a matter he wishes to intervene in and the opposition seems weaker than he is, he will have expectations for them to give way to him. In this way he may seem spoiled, however a large part of his upbringing involved the concept of 'might is right', and he has grown with these concepts ingrained within him. If he were to be crossed, and his bottom line were to be touched upon, Vardreth would act in the most ruthless manner as he could, granted the situation he was in. Conversely, so long as another was willing to treat him well Vardreth would have no issues treating them in the same manner. 1) Vardreth enjoys fooling around; with the status of 'Young Master' of his father's mercenary band, he has been able to live a good life - drinking in taverns, riding around, and hunting with his two closest friends, whom he calls brothers. 2) Vardreth enjoys winning competitions, and plays a variety of board games. This extends to combat and war in general, as he views these as competitions, albeit with human lives at stake. 1) Putting a great deal of value on respect and face, Vardreth dislikes it when others don't even have himself nor his status in their eyes. It is capable of changing a good mood to a poor one in the blink of an eye. 2) Vardreth dislikes insincerity, ranging from the respect he is given all the way to clients reneging on contractual agreements. Aspirations: Vardreth has been sent out on something of a "coming-of-age adventure", in which he must successfully lead a group of mercenaries through ten years. Given enough money to pay the salary of the men under his command for a year, the expectations given to Vardreth are to somehow make money and keep as many people living as possible throughout this time. Vardreth's aspiration is to complete this task given to him by his father and the Mercenary group so that he may successfully inherit a leadership role. Phobias/fears: Vardreth is afraid of loosing his mercenary group to a disaster; while he is willing to take on tough work, this lingering fear leaves a healthy respect for caution where caution is due. After all, if Vardreth does not maintain a healthy troop of mercenaries he will be unable to inherit a part of the band of Mercenaries that his father and his mother had created from the ground up. Appearance: Vardreth wears a portion of his hair in a ponytail, and he prefers to wear Kou garmets, with light armor at the shoulders, arms and shins. The armor at the shoulders is a series of simple metal bars which are attached to the overcoat worn by the young mercenary. The clothing is often a darker color, with simple designs embroidered into the overcoat. Visible and at his side is the sword he most often uses during combat, an eastern stylized blade; the katana. Vardreth has a lithe figure, honed from his military training, and carries himself with a confidence as if he were a dragon among men. Vardreth's birth was within a military camp of the mercenary type. His father, Li Fang, was the leader of this band of mercenaries. Li Fang was born and raised in Kou, and served the compulsory military service that was required of his city's citizens. After this, the man struck out on his own doing the only thing he knew how to do; war. After some time, he started up his own band of mercenaries which he named the 'Fang mercenaries', and found a woman whom he loved during these adventures. This was Vardreth's mother, Sengemo Fang. Sengemo ran a similar line of work, in that she was a mercenary for hire, and a rather skilled one at that. Having seen and been enchanted with her skillfulness in combat, Li Fang began courting the woman. The two quickly became enamored with one another, and had their first son, Vardreth's older brother, Dan Fang. By the time of Vardreth's birth, Dan Fang was already ten years of age and a competent fighter among the soldiers. 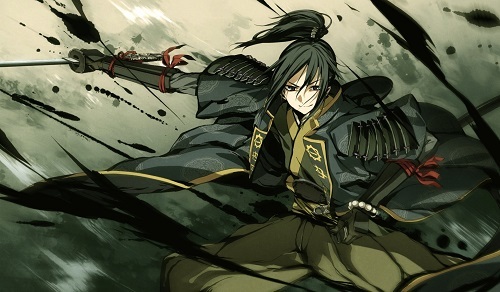 As one of the sons to Li Fang and Sengemo Fang, Dan Fang was groomed to be a strong warrior. In the beginning years, before the age of 16, Dan Fang's training consisted mostly of coordination and dexterity, as training the muscles would be harmful for a human that young. Vardreth grew up watching his brother train, and was enamored. A strange hunger within his body, mind and spirit devoured every movement of his brother's, as well as those of the other soldiers within the camp. From birth to the age of six, Vardreth hadn't received an ounce of training; such an age was far too young as the body was still explosively developing and coordination had to be constantly evolved in order to keep up with the changes. Even so, Vardreth got into small amounts of mischief around the camp. By the age of six, however, there was an intrinsic change within Vardreth's body. His fascination with the training that others were doing seemed to birth some monstrous growth within his mind and spirit. While he slept, he dreamed of combat. While he was awake he comprehended fighting techniques and styles. The only thing that was lagging behind was his body's capability of keeping up with these thoughts and comprehensions. It was also at this point when basic physical training was begun for him. Simple things that helped coordination and began working muscle memory; running, pushups, sit-ups and stretching. When the opportunity arose, swimming was added in for a well-rounded set of training exercises. Since his birth, Vardreth maintained a good relationship with his family, though perhaps it could be said that his family doted upon him greatly. The first son had many expectations for continuing on the legacy of the mercenary band, so their second son could grow up a bit spoiled. The first son didn't mind as the mercenary life had been what he, Dan Fang, had grown up with, and embraced his fate. Dan Fang's skill was often a connection point between the brothers, with Vardreth constantly watching his older brother train and occasionally praising Dan Fang. It was at the age of twelve when a hint of Vardreth's genius showed itself. He was sparring with his brother, Dan Fang, when Vardreth's mind for combat and his control over his body overlapped for a brief moment. Immediately, Dan Fang was disarmed and Vardreth's blade arrived at the nape of his brother's neck. Both looked at each other in shock, and Dan Fang immediately reported the matter to their father. Hearing the situation and seeing the situation were two different things; Li Fang ordered the two to spar once more, however the results were not nearly so fantastic. Was it a fluke, or was there something more to it? Dan Fang believed it to be the latter, and after plenty of discussion between their parents they arrived at the decision to send their son to an advanced military academy in Kou, where he would be trained by veteran trainers and taught many matters of warfare. His physical training had been short within his parent's mercenary camp, and there weren't any true challenges that he faced there. Heading over to the military academy, Vardreth quickly distinguished himself with his growth, learning more and more from a professional academy than he could have hoped for from the mercenary camp. He made close friends with his two 'brothers' whom he shared a house with. Eventually, it came to a point where Vardreth hid his strength; he was already seen as something of a monster. If those above him knew the true level of comprehension and skill he held in personal combat, including his capability of manipulating Magoi within his body, his life would likely be at risk. Many things were taught in this school; horsemanship, swordsmanship, the strategies and tactics of warfare, and even the hidden styles of fighting that one might encounter. By the time Vardreth returned to his parents, he was sixteen years of age. It was a short four years, but felt like a lifetime of training. Vardreth's return to his family's home, the Fang Mercenaries, was a very joyous occasion. They had kept in touch throughout the years, and were aware of Vardreth's accomplishments. His capabilities in actual combat far outshone his older brother's... However Dan Fang did not feel threatened or jealous of his younger brother's strength. It was very much the opposite; the stronger his younger brother, the happier he was. Neither Li Fang nor Sengemo Fang changed their mind on the inheritance of the band, however it was apparent that Vardreth Fang should be a man capable enough to lead his own unit into battle. The only issue was that Vardreth was still untested; he had not truly lead any men into combat and, despite all of the grooming that Vardreth received over his lifetime, he had not been truly tested by his parents. As such, they set him loose in the world to travel for the next ten years and maintain his own band of mercenaries. When he returned, he would become one of the commanders of the Fang Mercenaries. Garret looked over the letter once more, confirming the contents. The messenger wouldn't have had too difficult a time of having found Garret; the blue magician had taken work up recently in the Workforce Initiative and had returned last month from investigating a personal matter. Bahir was lucky to have caught the magician at the time he did; a week before the man was ready to leave for Kou. Either way, it had been some time since Garret had spoken to the Fanalis man. The magician welcomed the distraction from his current thoughts with Bahir calling upon him for tutelage. It would allow him to focus more on something other than his current troubles. Garret picked up his wooden blade, used a spell to shape some wood into a shield, and brought both of them along with him for the training. Mounting his horse, Garret made his way to their meeting place. Closing his eyes briefly, he idly considered where Yua could possibly be. It wasn't very long until Garret found himself at the meeting place Bahir had suggested. Setting his horse up, the magician approached Bahir and nodded. "I was told you were interested in another sparring session?" Description: A Mercenary Warlord maintains a band of soldiers that are for hire. Individual war bands have different requirements of their clients; some are unscrupulous while others will fight for any cause so long as there is coin involved. War band - The War band contains 100 D-Tier mercenary soldiers. These soldiers are a cohesive band of men who have trained together. In addition to the soldiers, the Mercenary Warlord has leaders whose accumulative Tier equals that of his own character tier. The mercenary soldiers and leaders are specifically for plot purpose. C-Tier: The Mercenary Warlord can have 2 D-Tier leaders or 1 C-Tier leader within his Mercenary War band. B-Tier: The Mercenary Warlord can have 2 C-Tier leaders or 1 B-Tier leader within his War Band. A-Tier: The Mercenary Warlord can have 4 C-Tier leaders, 2 B-Tier leaders, or 1 A-Tier leader within his War Band. Ω-Tier: The Mercenary Warlord can have 6 C-Tiered leaders, 4 B-Tier leaders, or 2 A-Tier leaders within his War Band. Mercenary Contract - A Mercenary Contract allows the Mercenary Warlord to spend Huang in order to gather mercenaries and face greater threats than normal. The length of a Contract A-Tier and below is indefinite. The length of an Ω-Tier contract is determined at time of purchase, minimum of 1 military campaign. D-Tier: A Contract of this level allows the Mercenary Warlord to gather enough soldiers to occupy a small Hamlet. Cost of contract: 10,000 Huang. C-Tier: A Contract of this level allows the Mercenary Warlord to gather enough soldiers to occupy a small village. Cost of contract: 20,000 Huang. B-Tier: A Contract of this level allows the Mercenary Warlord to gather enough soldiers to assault and occupy a fortified village. Cost of contract: 45,000 Huang. A-Tier: A Contract of this level allows the Mercenary Warlord to gather enough soldiers to assault and occupy a small city. Cost of contract: 90,000 Huang. Ω-Tier: A Contract of this level allows the Mercenary Warlord to gather enough soldiers to fight against a country's army. Cost of contract: 150,000 Huang and Mod approval or purchase of the 'Legendary Battle' from the Fate's Fortune shop. Professional Military Encampment - The Mercenary Warlord is adept at assigning duties to the various members of his army. This shows the most during times of rest, as the military encampment of a war band needs to maintain sanitation and a competent group of field medics. Those who maintain a professional military encampment find that the rest is superior to normal encampments. The default rank is D-Tier. Ranks may increase based on WC requirement. C-Tier: 30 Stamina recovered per post. WC Requirement: 1000. B-Tier: 40 Stamina recovered per post. WC Requirement: 1500. A-Tier: 50 stamina recovered per post. WC Requirement: 2000. Ω-Tier: 60 stamina recovered per post. WC Requirement: 2500. Description: An Alchemist uses a variety of ingredients ranging from plants to parts of animals in order to refine pills - both medicinal and poisonous - as well as reagents. A skilled Alchemist has a vast variety of knowledge in the uses of a number of plants, animals and even the various elements. Alchemical Cauldron - Alchemist are capable of refining their products in many different manners, depending on their individual skills. Magician alchemists are often seen as the best at doing so, as they can command the elements. The worst would be those who use normal flames to refine their work. The middle ground belongs to those who can manipulate magoi and magical gear skillfully, as their alchemical cauldron is a magic tool that allows them to control a flame within the cauldron and refine the ingredients in a similar manner as Magician alchemists. This perk provides one such cauldron to the Alchemist. Way of Alchemy - The way of alchemy is as vast as the sky and as deep as the ocean. Three alchemical products of the same effect can trade the place of one of the weapons a player may take into a thread. Alchemical products made in the thread do not count towards this limit. This may be done multiple times. If the player brings in 2 items with different effects, it takes up 2 weapon slots - the player, in this instance, can bring up to 3 of both types and still only take up 2 weapon slots. D-tier alchemical products require 250 words and 1500 Huang to make. C-tier alchemical products require 500 words and 3500 huang to make. B-tier alchemical products require 750 words and 7500 Huang to make. A-Tier alchemical products require 1000 words and 15000 Huang to make. [b]Requirements/Drawbacks:[/b] The user must be in some sort of deadlock that is forcing them to be still or incapable of moving. The user is only capable of using this against situations that do not exceed their unarmed basic attack strength. [b]Scaling:[/b] Each scaling increases the effort put into the ability, allowing it to be effective a tier higher. [*]Relying upon their physique, the user expends extra effort in their movements. This brute-force technique allows the user freedom of unrestrained movement with anything that was attempting to restrain them before being overpowered. [b]Requirements/Drawbacks:[/b] The user must have a free hand to throw this, as the hand agitates the reagents within the ball in order to cause the luminous explosion. [b]Scaling:[/b] Each scaling increases the tier of effectiveness of this ability by causing a greater amount of agitation within the explosive reagents. [*]The object is a small 10 cm ball made of a black cloth with a wax coating on the inside. There is a thin wooden divider that splits this ball of cloth in half, with two different reagents on either side. When the wall is destroyed, the reagents mix and give off a strong luminescence in a 10 meter area for 2 posts. [*]Although the luminescence is soft, its vitality is strong. If magic is used to cause an area to become dark, it would require a tier higher in effectiveness to persist in the area this luminescence exists in. A casual agitation of the reagents cause the strength of this luminescence to be at C-Tier. [b]Requirements/Drawbacks:[/b] The user must channel this ability, and cannot move faster than a walking pace while using this ability. The user must be using Magoi Manipulation for this ability. [b]Scaling:[/b] The number of layers will double for every 10 magoi that is invested. [*]A thin layer of Magoi is created around the user's body and equipment, acting as an opposing force to what may touch it. This force appears to work its way out to 3 cm away from the body, pushing any foreign substance away from the user. [*]This energy is effective against up to A-Tier forces. [b]Requirements/Drawbacks:[/b] The user must channel this ability, and must be mounted on his Beast while using this ability. The user must be using Magoi Manipulation for this ability. Other than this ability, the user may only use one ability once in every post (though it may have multiple attacks) that this ability is sustained in. [*]A thin layer of Magoi is created around the user and beast's body and equipment, acting as an opposing force to what may touch it. This force appears to work its way out to 3 cm away from the body, pushing any foreign substance away from the user and their mounted Beast. [b]Requirements/Drawbacks:[/b] The user must use a sword when executing this attack and channel Magoi Manipulation through the blade. The energy will be released when the sword comes to a halt. The attack begins in an Iai stance with the sword sheathed; the user gathers their magoi and sends an explosive sweep of their blade to their opponents. [b]Scaling:[/b] For each additional 10 magoi invested, the user is capable of doubling the number of times this attack is used consecutively (re-sheathing the blade and performing the attack again from the beginning). [*]The user draws their blade from its sheathe after it has obtained its magoi and sweeps at the opponents around them. Upon impact, the magoi violently rushes into the opponent and deals A-Tier damage to their internal organs. [b]Requirements/Drawbacks:[/b] The user must be wielding a sword and channel their Magoi. The user begins with the blade behind them, in a stance known as 'sha no kamae', while the hilt is held with one hand. 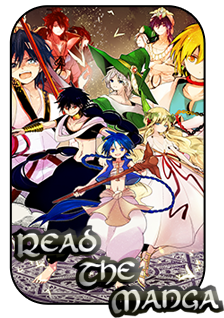 The magoi is gathered and the user unleashes the attack from this point in an arc. [b]Scaling:[/b] For every 10 magoi invested, the number of times this attack is performed may double. [*]This attack begins from behind the user, and is performed in an arc. Upon landing against an opponent, the magoi enters within them and devastates their internal organs, dealing A-Tier damage. [b]Requirements/Drawbacks:[/b] The user must be clashing with an opponent's attack with a weapon. The user's weapon must have a cross-guard or jutting protrusion from their weapon if they are not clashing against a chain/string weapon. [b]Scaling:[/b] Each scaling increases the tier of effectiveness of this technique. [*]The user clashes with an opponent's weapon using their own, defending against C-Tier damage. [*]The user quickly moves their weapon, either entangling the opponent's weapon in their cross-guard or wrapping the opponent's chain/string-based weapon around their own. C-Tier ability force keeps the weapon from being used by the opponent to attack. [b]Requirements/Drawbacks:[/b] The user must have a hand free in order to manipulate the beads of force explosion. [b]Scaling:[/b] With each increase in scaling, the strength behind the movements increase by a tier. [*]Four small 2 cm sized beads of reagents are mixed together violently, causing them to create an explosion of force that exits out of 1 side of the bead. The user expertly manipulates these beads to assist them in jumping, allowing them to change directions in mid-air and increasing their velocity/speed to the maximum of its tier of strength. Each bead's basic strength is D-Tier and pushes 1 direction at its speed up to 5 meters away. [b]Requirements/Drawbacks:[/b] The user must have a free hand to throw this, as the hand agitates the reagents within the ball in order to cause the explosion of force. [b]Scaling:[/b] Each scaling increases the diameter of this ability 5 meters by causing a greater amount of agitation within the explosive reagents. [*]The object is a small 10 cm ball made of a red cloth with a wax coating on the inside. There is a thin wooden divider that splits this ball of cloth in half, with two different reagents on either side. When the wall is destroyed, the reagents mix and shortly after cause an explosion of force to expand in a 10 meter diameter, pushing everything away in the process. [b]Requirements/Drawbacks:[/b] The user must use a sword while attacking. The user must use Magoi Manipulation to execute the attack. No thrusts may be made with these attacks. The user begins with the blade at a 45° angle above and behind their head, channeling the magoi and then executing the series of attacks. [b]Scaling:[/b] The number of attacks will double for every 10 magoi that is invested. [*]The user makes 8 slashes with their sword, allowing the Magoi from the attack to slice through the opponent for C-Tier damage. [b]Requirements/Drawbacks:[/b] The user must be wielding a sword. [b]Scaling:[/b] The area of effect may increase by 5m for every 10 stamina that is invested. [*]The user begins to swing their blade in a figure 8 at a fast speed, carefully maintaining the trajectory of the blade while doing so. The user maintains the advantage of this technique until it is either broken by an opponent or halted by the user. [*]This technique defends against B-Tier damage from ranged attacks. [*]This technique blows away gaseous products, maintaining a distance of 1 meters of clear space with the user in the center. [b]Requirements/Drawbacks:[/b] The user must use a foot and a sword in this combination attack. The foot must land upon the opponent's stomach; if the foot strikes the rib cage and higher it will not impart the supplementary effect. [b]Scaling:[/b] The tier of effectiveness of the technique will increase by one for every 10 stamina that is invested. [*]The user performs two strikes. The first of which is a horizontal sword strike, with the second being a penetrating kick. [*]The kick causes the opponent to lose their breath and Double Over for 3 posts. [*]The sword slash deals B-Tier damage to the opponent. [b]Requirements/Drawbacks:[/b] The user must use Magoi Manipulation with this attack. [*]The user gathers Magoi into hands and channels it into a weapon they are holding. When the user attacks, they may choose to discharge one or more of the 8 charges of this technique, disrupting D-tier level of energy. The Magoi disrupts magic as well as King Candidates Metal Vessel transformations - both the Djinn equip and Weapon equip levels, so long as the effectiveness of the technique striking the enemy meets or exceeds the difficulty tier of the transformation. When one of the charges strikes another field of energy, it disrupts and eats away at it in mutual destruction. [b]Requirements/Drawbacks:[/b] This is a bare-handed technique that must be executed from behind the opponent for the intended supplementary effects to succeed. [b]Scaling:[/b] The number of hits will double for every 10 stamina that is invested. [*]Two strikes are simultaneously executed; a finger-sword strike to the back of the neck at the base of the skull and a sideways knife-hand chop towards the lower back spinal cord. Both of these attacks are aimed to land at the same time. [*]The finger-sword strike to the base of the spinal cord by the skull causes the throat to go numb, making it impossible for the individual struck by this technique to speak for 3 posts. [*]The knife-hand chop to the spinal cord at the lower back breaks the spinal cord by dealing B-Tier damage. [b]Requirements/Drawbacks:[/b] The user must be riding their Dom Beast and must be wielding a sword. The user gently squeezes the flanks of the horse with their knees, giving it the trained 'signal' to headbutt an opponent in front of it. [*]The rider performs a sword strike upon an enemy within the range of their blade at an angled slash, dealing B-Tier damage to the opponent. [*]The Beast Tamer Beast headbutts an within range opponent, dealing B-Tier damage to the opponent. [*]The attacks do not need to strike at the same enemy, and can be used to attack multiple enemies that are attempting to surround the user and their horse. [b]Requirements/Drawbacks:[/b] The explosives, the materials of which being contained in a soft pouch, must first be squeezed (and during this squeezing, must deal C-Tier damage) to agitate the materials and prime it for explosion. The explosives will then only explode upon contact with something solid. [b]Scaling:[/b] The number of projectiles will double for every 10 stamina that is invested. [*]The user draws out 2 bombs in quick succession, squeezing them to agitate the explosive mixture, and then throwing them to explode upon impact. [*]These explosives each generate a 1 meter diameter zone of damage, which is dealt by fire and shrapnel from metal shavings mixed in with the reagents. This damage deals B-Tier damage to those caught in the blast. [b]Requirements/Drawbacks:[/b] The venom must enter the bloodstream in order to deal its damage. [b]Scaling:[/b] Double the number of dosages that may be used for each additional 10 stamina invested. [*]The user opens a vial of venom and applies it to a weapon, article of clothing, or even directly upon an individual. [*]Each vial holds 1 milliliter of venom within. The vial is 3 cm tall and .5 cm in diameter. [*]The user may throw this vial between 3 and 9 meters away from them; it does not have enough volume to have a splash worth mentioning, and only affects the direct point of contact. [*]Upon entering the bloodstream the venom takes immediate effect, dealing A-Tier damage in internal wounds to the blood cells of the individual who was struck by this. [b]Requirements/Drawbacks:[/b] The smoke bombs, the materials of which being contained in a soft pouch, must first be squeezed to break a divider, requiring C-Tier damage, within the bomb and cause the reagents to mix in order to execute this technique. [*]The user draws out 2 bombs in quick succession, depressing strongly and breaking them to agitate the mixture and cause black smoke to quickly leave the small bombs, which can then be thrown. [*]These smoke bombs each generate a 5 meter diameter zone of black fog, making it impossible to see more than half a meter in front of one's self. [b]Requirements/Drawbacks:[/b] The beast must already be in movement. The beast must speed up to a run. [b]Scaling:[/b] Every 10 stamina spent increases the distance of the trample effect by 5 meters. [*]The Warhorse Beast runs forward with a burst of strength, knocking opponents down to the ground that are in its path. [*]The Warhorse Best continues running, dealing A-Tier damage to the opponent it steps on. [*]After charging forward three meters, the trample effect ends. [b]Requirements/Drawbacks:[/b] The beast must have solid footing and be running to perform this ability. Solid footing is defined as flat ground in which it can easily place all four of its hooves on the ground without slipping up. [b]Scaling:[/b] Every 10 stamina invested allows the beast to jump double the number of times. [*]The beast focuses a large amount of its physical stamina into its legs while running, performing a powerful jump and allowing it to reach legendary heights. Its maximum jump height is 15 meters, with a maximum jump length of 20 meters. [b]Requirements/Drawbacks:[/b] Two of the horses legs must be planted. This requirement is removed if the horse is in water. [b]Scaling:[/b] Every 10 stamina invested allows the horse to double the number of times it can attack. [*]The Warhorse rears up two of its legs, either the back or the front, and strikes out at an opponent with their hooves. Each hoof deals B-Tier damage. 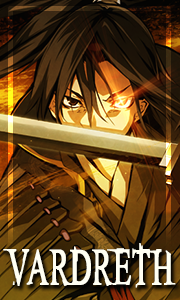 [b]Appearance:[/b] This katana appears to be a straightforward weapon, though it has magic imbued within the hilt. The blade itself is fairly standard. The handle is 13 cm in length, with the blade being 57 cm in length, making the total size of weapon 70 cm. [*][b]Gold Dragon Garden[/b] - Feeding magoi into the hilt while the sword's blade is touching the earth causes four vines to sprout from the ground. Each vine coils in the style of a Chinese dragon with claw-shaped leaves and a blooming bud that resembles the jaws of a dragon. Inside each bud is a golden peach. Eating the peach causes C-tier healing throughout the body. The plants may grow anywhere within 3m of the user and grow to be 1.5m tall. 10 Magoi to activate | 5 Magoi to sustain. [b]Requirements/Drawbacks:[/b] The user must have the hilt in their hand in order to feed magoi into the weapon and activate the ability. [*]The spell creates a 1 meter long, .2 meter diameter dragon from golden mist made of life magic. [*]This 'dragon' moves and flies about at the will of and within 3 meters of the caster. [*]The mist enters and dwells within the body of a being it came into contact with after activation, creating an imprint of that living creature's body's peak condition. It advances the healing process of the body, healing up to B-Ter damage that was dealt to the body. [b]Requirements/Drawbacks:[/b] At least one instance of Desceld's function must already be in use. [b]Scaling:[/b] The number of plants that may bite double with every 10 magoi that is invested. A portion of the blade must be touching the earth, and the user must channel their magoi through the hilt of Desceld. [*]One of the Gold Dragon Garden's bloomed buds, shaped as the head of a Dragon, bites down with its flower, dealing A-Tier damage to whatever was caught within its mouth. [b]Requirements/Drawbacks:[/b] At least one instance of the function for Desceld, Gold Dragon Garden, must be in use. [b]Scaling:[/b] For every additional 10 magoi, the length of the tail and fin increases by 5 meters. [*]The root of the Gold Dragon Garden grow, expanding after being fed magoi. This creates a root that shoots up from the ground to 10 meters in height. [*]The root grows a razor-sharp leaf in the shape of a dragon's fin that is 10 meters long, 10 cm thick (tapering off to be razor-thin at its edge). upon this root and leaf are 'scales' made from thorns, equally sharp. [*]The tail proceeds to spin around like a blender, dealing A-Tier damage to those that come in contact with it, whether it is contact with the blade or with the root/blade's body from the sharpness of the thorns. [b]Scaling:[/b] For every additional 10 magoi, the area of effect increases by 5 meters. [*]The root of the Gold Dragon Garden rapidly expands and splits, grasping upon any and all within 10 meters of the epicenter of the Gold Dragon Garden and immobilizing them by keeping their entire body tightly coiled around until the energy feeding its power is cut or until it is forcibly broken by A-tier damage. [*]These roots expand either in a direction of the user's choosing or in a diameter with the Gold Dragon Garden as the center. [b]Requirements/Drawbacks:[/b] Must be capable of using Magoi Manipulation. Must be wielding Desceld while this ability is being channeled. It takes 5 seconds for Desceld, Gold Dragon Aspect to form. [b]Scaling:[/b] For every 10 magoi spent, the size of the Gold Dragon Aspect increases by a tier (6 meters in length, 3 meter in diameter for the exterior Dragon Aspect and 9 meters in length with 1.5 meters in diameter for its 'tongue', or interior Dragon Aspect). [*]As the user feeds Magoi into the weapon a number of vines rapidly expel from the pommel of the sword. These vines are all interconnected, and form a 'miniature' plant dragon which coils in the style of a Chinese dragon with claw-shaped leaves and a bloomed golden bud that imitates the jaws of a dragon. The plant dragon is 6 meters in length and 3 meters in diameter. Inside the dragon's maw is a hollowed out area; the interior 'walls' of the dragon are filled with razor sharp edges to the vines. Within this area is a 'tongue'; a single root that splits into many ends which is 9 meters in length and 1.5 meter in diameter. [*]The tongue of the dragon, with B-Tier durability, lays coiled within the mouth until it fires out and entangles all those it comes into contact with, 'holding' them while it returns into the mouth. [*]The tongue is then 'combed' by the interior of the Gold Dragon's Maw, dragging those who were captured through the sharp interior and dealing B-Tier damage. [*]The Dragon Aspect's exterior is always in contact with the body of the user, and is directed with magoi manipulation in order to function. [b]Appearance:[/b] This katana has magic imbued within the hilt. The handle is 13 cm in length, with the blade being 57 cm in length, making the total size of weapon 70 cm. Eir has a sawtooth edge nearing the hilt and dark colors throughout, made with an incredibly sturdy yet balanced metal. [b]Requirements/Drawbacks:[/b] The user must have the weapon in their hand in order to channel magoi. Must have an aura or some form of strength magic shaped like a dragon in order to activate, which is the dragon in which this ability goes through. [b]Scaling:[/b] The area of effect increases the cone's distance by 5 meters forward. [b]Cool Down:[/b] Once per thread. [*]The dragon of force opens its maw and creates a suction force in a cone shape. This cone is 2 meters deep, 15 meters long and begins as wide as the mouth of the maw this is cast from. The force of this suction brings an individual caught within the cone towards the mouth at A-Tier strength and speed. [*]When the individual arrives at the entrance of the mouth, the gravity pulls up and down simultaneously once they pass through the gap, dealing A-Tier pulling damage and ripping those caught within individual apart. [b]Requirements/Drawbacks:[/b] The user must have the weapon in their hand in order to channel magoi. The user must have an aura or some form of strength magic shaped like a dragon in order to activate. [b]Scaling:[/b] Each scaling of this ability doubles the number of Draconic's Majesty around the user. [*]An orb of force appears around one of the dragons made with force, 15 meters in diameter. The user has absolute control of gravity within this region, making everything either heavier, lighter or changing the direction of gravity. The interior of the force dragon is not affected by these gravity changes. [b]Requirements/Drawbacks:[/b] The user must have the weapon in their hand in order to channel magoi. There must have an aura or some form of strength magic shaped like a dragon in order to activate, which is the dragon in which this ability goes through. [b]Scaling:[/b] Additional magoi invested allows the user to increase the distance traveled by 5 meters. [*]The force dragon opens its maw and lets out a silent roar, creating a 15 meter long, 15 meter wide and 2 meter deep wave of gravity that crushes those caught within it using Ω-Tier force. The wave goes down one meter and up one meter from the center of the dragon's maw when it is executed. [b]Requirements/Drawbacks:[/b] The user must have the weapon in their hand in order to channel magoi. The weapons must be on the user to have an extension, and cannot be in the user's hand to be guided. [b]Scaling:[/b] Each scaling doubles the number of effected weapons. [*]Two weapons get coated with strength magic, allowing the attacks of weapons being held in the hand to extend 10 meters in length. [*]If a weapon is thrown, the user of this technique is able to control the flight of those weapons, allowing it to change directions in the air with A-Tier maneuverability and speeds. [b]Appearance:[/b] Each dagger is 8 cm in length and, at its thickest point, .5 cm thick. The dagger is wrapped with simple hide on the handle. [b]Ammunition Appearance:[/b] Each dagger is 8 cm in length and, at its thickest point, .5 cm thick. [b]Appearance:[/b] A forged silver ring with a ruby fitted within it. [*][b]Inferno Shroud[/b] - Feeding magoi into the ring causes the air around the user to shimmer slightly as heat magic envelopes them. While the shroud is active, the user is immune to heat damage up to A-tier. 10 Magoi to activate | 5 Magoi to sustain. [b]Appearance:[/b] A sickly green emerald clasped by a silver ring that neatly fits the finger. [*][b]Sprite Summon[/b] - By feeding the ring magoi, the user may summon 4 Plague Sprites approximately 10 centimeters tall, each equipped with a small thorn fashioned into a D-tier dagger that move to inflict anyone attacked with a plague that deals D-tier damage and slows enemy movements slightly for 1 post. The sprites can move within 10 meters of the user. 10 Magoi to activate | 5 Magoi to sustain. [b]Appearance:[/b] A ring that changes size depending on the finger of the owner. The design is that of a bird-like being enveloped in stormy lightning. The eyes of the bird look as though they hold a never ending grudge. [*][b]Unstoppable Grudge -[/b] The user feeds magoi into the ring causing a surge of lightning magic to wash through their own body. The lightning magic burns away foreign contaminants such as poisons and reactivates the nervous system. Lightning also courses over the user's skin burning away any bindings that may be holding the user down. The function effectively clears away most tangible bindings, poisons, and bacteria that limit the user's movements of otherwise debilitates them. Activating this ability while paralyzed will nullify the paralysis. 10 Magoi to activate | 5 Magoi to sustain. [b]Appearance:[/b] A beautiful ring with a gem that is a blue sapphire. The gem is the size of a marble and often radiates a faint blue light. The gem is often cool to touch and is said to have belonged to Lizzy a young woman who used the gem to end a civil war within her own nation. [*][b]Serenity Drop[/b] - Feeding magoi into the gem causes a drop of crystal clear water to form. The user can swipe their hand to send the drop flying up to 5m away. Whatever the drop touches is suddenly flash frozen, covered in 10cm of ice. The ice requires A-tier damage to break, or B-tier fire/heat. The ice can stop aggressors in their tracks, but also protects whatever is inside from outside attacks. The ice shell can cover up to 10m of surface area and lasts for 4 posts since the last sustain point. 10 Magoi to activate | 5 Magoi to sustain. This cauldron is 30 cm in diameter at its widest point, and is approximately 30 cm in height. The exterior has an interlacing dragon pattern, with the bottom of the cauldron having a magic diagram to facilitate alchemy work. The cauldron was formed with the help of magic, increasing its durability. [b]Appearance:[/b] Marux is a trained Warhorse that stands at 163 cm in height and weighs approximately 543 kg. The horse is a black horse of a rare breed, capable of great feats of strength, speed and endurance. This particular horse exhibits the strength and endurance of its kind, though the speed is average. [b]Trait Description:[/b] Some beings were born with a predisposition towards being able to exert effort for long periods of time, though this must be backed with training. Lower levels allow such beings to cover twice the ground in harsh conditions, while higher levels only have time constraints of a day and its maximum speed in its capability. Those with this trait are capable of a constant run for 8 hours per day before needing to rest. Regardless of wounds that leave its limbs in place, the creature is always able to jog. [b]Trait Description:[/b] Explosive power comes from the use of strong muscles and using a great deal of energy at once. Those with superlative strength are capable of releasing this type of energy in a much more relaxed manner. Lower levels allow the individual to jump twice as high as normal, or push things twice as far as they normally would be able to while the higher levels allow leaps that can clear castle gates. Those with this trait are capable of jumping over low fortifications of normal towns and knocking others far away instead of harming them with their attacks. Walls around cities and capitals, however, are far too high. [b]Trait Description:[/b] Many creatures, including humans, go through training throughout their lives in order to perform various tasks. This training allows them to respond to situations like second nature, without the need for additional input. Those with this trait are capable of competently making a decision in their trained profession without outside direction. [b]Trait Description:[/b] Being nimble and flexible are valuable traits, but they aren't very useful without the balance to use them properly. The beast with this trait is very in tune with their sense of balance allowing them to almost always land on their feet, avoid tripping, and balance on even the smallest of footholds. [b]Trait Effect:[/b] Can land in treacherous footing after a jump and scale difficult to climb places so long as it is not a sheer cliff. Can balance on almost any footing/surface, and avoid most attempts at tripping.